When it comes to kids, norms change. They've got their cartoon character-themed (and -priced) pajamas and their special sparkly toothpaste. Their clothes are sized differently. At restaurants, their menus have mac & cheese and chicken fingers, not "real person" food. Why shouldn't their paint be different, too? Kids' rooms get abuse. The walls get drawn on with Crayon, ink, and pencil. They get kicked and splattered with food and subjected to more indignities than one can ever imagine. Unless you relish the thought of re-painting three times a year, you'll want durable, easy-to-wash paint. Here are some suggestions, and color ideas for kids' rooms. Once you get into the flatter glosses and sheens, it's harder to find one that is truly washable. Professional painters say that higher quality paints are much more cleanable in flatter sheens and glosses than lower-quality paints. Predictably, professional-quality paints are harder for DIYers to obtain. It's not as easy as going to your local Home Depot; you'll need to find a stand-alone paint store for this. 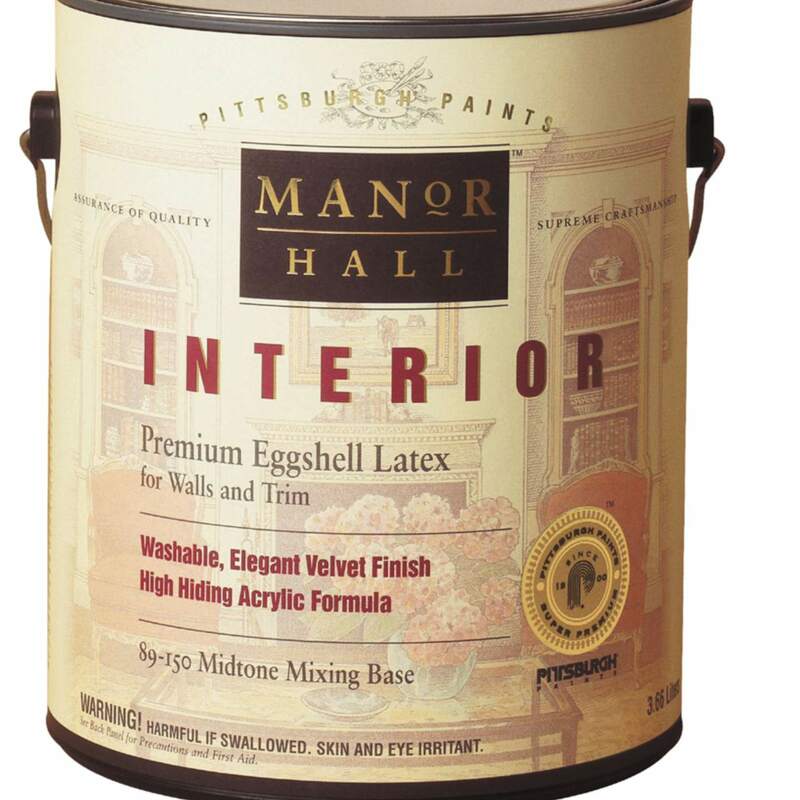 PPG (Pittsburgh Paints): PPG's Manor Hall Interior Latex Paint reportedly is fairly washable even in Flat/Matte and Ceramic Matte sheens. WallHide's Matte/Ceramic also works well for rooms that need frequent wall-cleaning. Kelly Moore: More available than PPG are Kelly-Moore Paints, though you may find both at the same stand-alone paint store. K-M's Acry-Plex Interior Latex Flat Enamel, more often called "655," is known for being one type of flat that stands up to repeated scrubbings. Benjamin Moore: The best-selling Aura line of interior latex paints is known for being washable even in the flats, mattes, and eggshells. Remember how the lower half of your elementary school's walls were coated with high-gloss paint? Good reason for this: it made light work of scrubbing off stains for the school custodian. It doesn't have to be marketed as kids' room paint or anything special: any interior paint of glossier finish will repel scuffs and stains well. Thus, eggshell will be better than matte; satin better than eggshell; semi-gloss better than satin; etc. This is nanotechnology before it was even called that. It's generally agreed that glosses up to and including semi-gloss paint are best for bedrooms. But should you be dealing with a zoo, rather than a bedroom (aka a room with multiple children), consider stealing the elementary school idea and using it in your own house by installing wainscot and painting it with gloss or even high-gloss paint. Wainscot is hardboard (vs. drywall) that covers the lower half of walls. It can be purchased as ready-to-install kits or 4x8 foot beadboard sheets cut to size. A piece of trim called a chair rail tops the beadboard to cover up the cut. Good news: a few paint manufacturers license DuPont's familiar Teflon technology as a liquid additive to their paints. Can the same coating that prevents omelets from sticking to pans prevent sneaker scuffs from becoming a permanent part of your son's bedroom walls? The fluorosurfactants used in the paint came about in 1994 and are distantly related to that familiar egg-repelling technology. While Teflon-infused interior paint is no less scratch-resistant than regular paint, it does a bang-up job of shedding dirt, scuffs, and deep stains by light rubbing with a wet soapy cloth. Teflon lowers the surface tension between the paint and the contaminating agent, preventing the contaminant from spreading out and penetrating the substrate as much. This type of paint is still difficult to find in the U.S. Japan-based Nippon Paint sells interior paint with Teflon throughout Asia, but its U.S. subsidiary does not. Asian Paints is another company that uses Teflon in its Royale Shyne Luxury Emulsion, but as the name suggests, it is a high-sheen finish. In the U.S., Interlux Brightside is a two-part polyurethane paint designed for marine applications. It's highly expensive. But since it's designed for boat exteriors (imagine how much wear and tear boat shells get), it can easily protect the walls of your children's bedroom.